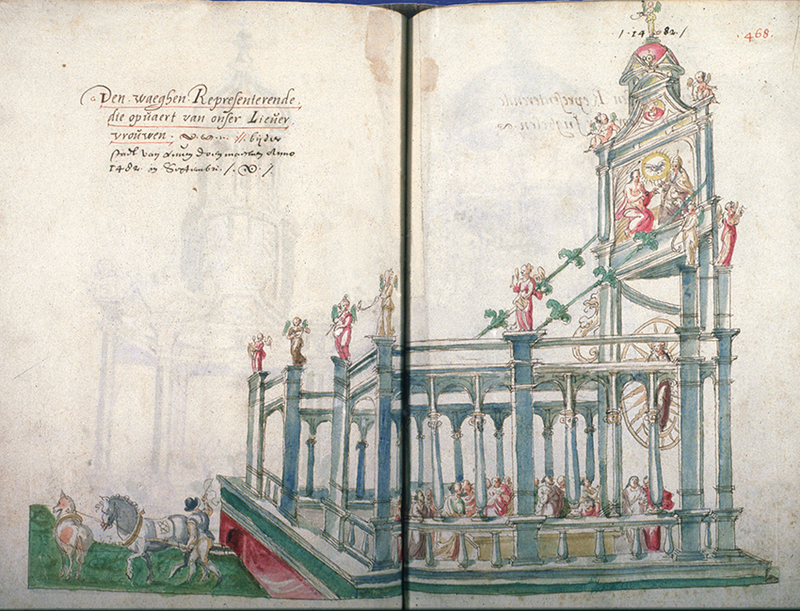 The Assumption waggon from the Leuven ommegang: Liber Boonen 1594. Said to have been constructed in 1482, though the decor looks too Renaissance for that. Note the way in which the back structure is braced. The structure itself seems to be missing a couple of columns on the far side. The Virgin in her mandorla may or may not be intended to rise and fall: it is difficult to see how she would get onto the upper deck with the Trinity. She may be a statue; they appear to be painted on a flat background. Photo © Alexandra F. Johnston (I think).